To check Chinese inroad in Bhutan: China is interested in establishing formal ties with Thimphu, where it does not yet have a diplomatic mission. Bhutan is strategically important for both India and China. 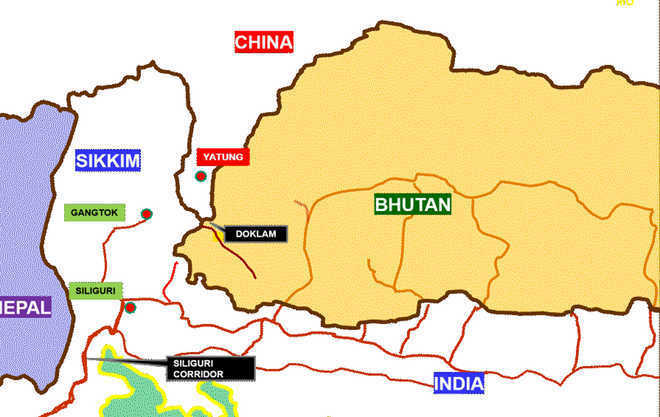 Chinese territorial claims in western Bhutan are close to the Siliguri Corridor. Energy security: Hydro-electric power generated by Bhutan’s run-of-the river dams is the economic bedrock of the India-Bhutan relationship. India has helped finance the dams through a combination of aid and loans and buys the excess electricity at very low prices.Three hydro-electric projects (HEPs) totaling 1416 MW, (336 MW Chukha HEP, the 60 MW Kurichu HEP, and the 1020 MW Tala HEP), are already exporting electricity to India.In 2008 the two governments agreed to further develop a minimum of 10,000 MW hydropower generation capacities by 2020 and identified ten more projects. India has been an all-weather friend of Bhutan since the latter’s independence. It was India who supported Bhutan’s admission in the United Nations and has been with the tiny Himalayan nation since decades assisting it for having a distinct place in the global sphere. Assured by India forits distinct identity and autonomy since India’s independence Bhutan has been in the good book of India since the very beginningthough with exceptional aberrations in bilateral relations. The treaty is termed as the continuation of the Anglo-Bhutanese Treaty of 1910. It treats the Himalayas as the sentinel of India’s security. The Indo-Bhutan Treaty is dubbed as the corner stone of Bhutan’s foreign policy. The Chinese annexation of Tibet in 1950 cemented bilateral relationship between India and Bhutan as the two nations considered Beijing a potential threat. In February 2007 the Indo-Bhutan Friendship Treaty was substantially revised, which clarifies Bhutan’s status as an independent and sovereign nation. Under the revised norms Bhutan no longer require India’s approval over importing arms. India supports Bhutan’s progress towards sovereignty and democracy. The restructured India-Bhutan Friendship Treaty not only reveals the contemporary nature of India’s relationship but also sets the tone for their future development in the 21st century. The Treaty provides, amongst other things, for perpetual peace and friendship, free trade and commerce, and equal justice to each other’s citizens. In 2014, the new Prime Minister at New Delhi chose Bhutan as his first foreign destination. The Prime Minister coined the idea of B2B as ‘Bharat to Bhutan’ for building effective and renewed bilateral relationship. New Delhi has made it clear that despite India’s growing importance in the world stage, it sticks to the policy of ‘neighbours first’ and the significance of its immediate neighbourhood has not reduced. Bhutan is a natural part of such neighbourhood policy of India. Bhutan is no more a subservient region to India and not guided by the ‘aid and advice of India’. It is now entering the larger world by having engagements with world beyond India and by taking steps to reduce dependence on India on important matters of its notational needs and interest. Both India and Bhutan have more engagements with China today than before. Pro-Chinese views are now up against the Article 2 of the Indo-Bhutan Friendship treaty and accuse India of forcing a smaller neighbour into submission. Article 2 of the Treaty declares that India would not interfere in Bhutan’s administrative affairs and the latter would be guided by the former’s advice in its external relations. But, India is least concerned about the criticism, as it sees Bhutan as immediate concern of its foreign policy considering its own security concern. Thimpuhas been a close friend of New Delhi and it will remain so irrespective of the treaty clauses because of Bhutan’s geographical disadvantages and economic dependence on its close neighbour. Indian Prime Minister’s visit to Bhutan in October, 2015 reveals India’s deep-seated concerns for northern border with China in the middle of which Bhutan is situated. Bhutan has been taken as safe haven by insurgent elements like National Democratic Front for Bodoland (NDFB), United Liberation Front of Assam (ULFA) militants and Kamtapur Liberation Organization (KLO) that often pose threat to internal peace and security in the northeast region of India. However, Bhutan has shown enormous interest in respecting India’s security concern. Operation All Clear was conducted by the Royal Bhutanese Army in 2003 after eight years of negotiations failed to convince the militants to move their camps out of Bhutan. The whole of Bhutan dedicated to battle India’s enemies and it has been a sterling example of friendship that a nation can do for its neighbour. Linked to media report, the recent claim by India’s Minister of State for Information and Broadcasting in June, 2015 that North-East militant groups are infiltrating Bhutanese territory and India is now pursuing a stringent approach to contain cross border terrorism which was pointed at Bhutan dealt a blow to Indo-Bhutan relationships. A great shift in Bhutanese economy is that it is on the verge of opening up. Recently, during the question hour session of the National Assembly, which was held on February 18, 2014, the issue of “ease of doing business”in Bhutan was raised. Since 2010, preparations have been underway in Bhutan to expand and liberalize investment policies. For instance the Foreign Direct Investment (FDI) Policy and the Economic Development Policy were released; where by achieving self-reliance was identified as the key goal. In 2012, rules and regulations related to FDI were passed, which established the key criteria for doing business in Bhutan. India is not only Bhutan’s main development partner but also its leading trade partner. The existing free trade regime between India and Bhutan was last renewed in 2006 for a period of 10 years. The India-Bhutan Trade and Commerce Agreement was first signed in 1972. Sixteen exit/entry points in India identified in the Protocol for Bhutan’s third country trade are: Jaigaon, Chamurchi, Ulta Pani, Hathisar (Gelephu), Darranga, Kolkata, Haldia, Dhubri, Raxaul, Panitanki, Changrabandh, Phulbari, Dawki, New Delhi, Chennai and Mumbai. Of these, Kolkata, Haldia, Mumbai and Chennai are the designated seaports, Dhubri is the riverine route, New Delhi, Chennai,Mumbai and Kolkata are the air routes and Raxaul is the rail route. The others are the designated road routes. China shares a contiguous border of 470 kilometres with Bhutan to north and its territorial tussle with Bhutan has been a constant source of tense bilateral relationship. Further, China doesn’t have official diplomatic relations with Bhutan. Its border with the PRC (Peoples Republic of China) has never been officially recognised and demarcated and the 1959 Tibetan Rebellion and the 14th Dalai Lama’s arrival in neighbouring ally India made the security of its border with China a necessity for Bhutan. Border disputes between Bhutan and China still persists on several areas between the two countries. In 1984, China and Bhutan began annual, direct talks over the border disputes. In 1998, China and Bhutan signed a bilateral agreement for maintaining peace on the border. In the agreement, China affirmed its respect for Bhutan’s sovereignty and territorial integrity and both sides sought to build ties based on the Five Principles of Peaceful Co-existence. China’s aggression in Tibet, provocation against Bhutan and lack of economic opportunities from China ensure that Sino-Bhutan relationship is yet to take off. However, China’s soft power diplomacy, increasing Chinese tourists in Bhutan, massive Chinese investment in Tibet during recent times which is likely to make Tibet a possible access point for the nascent Bhutanese traders, visit of Chinese official to Bhutan can be seen as measures for opening up of bilateral engagements between the two countries. The aforesaid issues have least effect on India’s enviable engagement with Bhutan. India and Bangladesh are the two countries who have their diplomatic consulate in Bhutan. India sends its finest Foreign Service officers to serve in the country to manage the relationship. The signing of the Motor Vehicles Agreement (MVA) by India in June 2015– among the BBIN countries Bangladesh, Bhutan, India and Nepal – is likely to be a great benefit to all the countries involved. Considering Bhutan’s volume of trade with India, its age-old socio-cultural ties, India’s effort to patronage Bhutan in various matters of international importance like that of helping Bhutan to become a member country in the UN, and a host of factors, the bilateral relationship between India and Bhutan seems to be resilient and will continue to flourish irrespective of third party engagement in this Himalayan nation state. The offensive stand of China on Doko La (Doklam) and India’s strong warning in return, is the latest addition to the worries that spoil Indo-China relations. It started when India (Indian Army) objected a road construction by the People’s Liberation Army (PLA) of China in the Doklam plateau which China claims to be a part of its Donglang region. However, India and Bhutan recognise it as Doklam, a Bhutan territory. Later, China accused Indian troops of entering in its territory and India accused the Chinese of destroying its bunkers (People’s Liberation Army bulldozed an old bunker of the Indian army stationed in Doklam). The disputed region is very close to India’s Siliguri Corridor which connects the seven north eastern states to the Indian mainland. Bhutan has a very strategic position considering India’s geography. To foster the relationship, India and Bhutan signed a ‘Friendship Treaty’ in 2007 that commits India to protect Bhutan’s interests and the close coordination between the two militaries. Also, India is worried that if the road is completed, it will give China greater access to India’s strategically vulnerable “chicken’s neck” (Siliguri Corridor) that links the seven north eastern states to the Indian mainland. The ‘Mountain Strike Corps’ of India, specifically proposed to be raised to check the Chinese influence, has a strength which is much less than the proposed strength. Along with that, the force is not yet equipped with advanced armouries that were envisioned for them. Chumbi Valley is located at the tri –junction of India-China-Bhutan. The region is close to India’s Siliguri Corridor (chicken neck corridor). The Siliguri Corridor connects the rest of India with the Northeast, and Nepal with Bhutan. 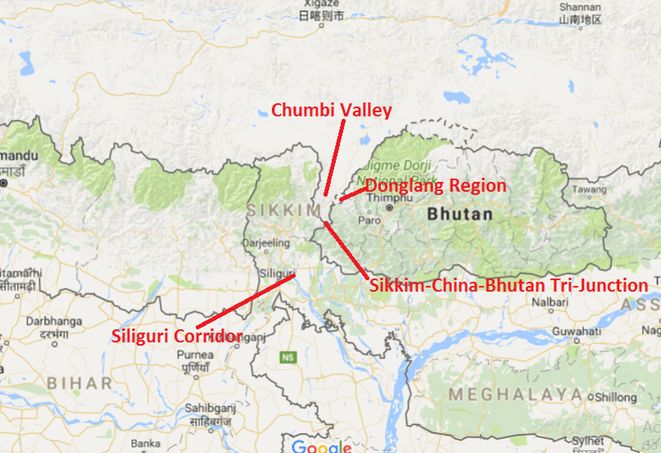 Chumbi Valley is also of equal strategic significance to China because of the valley’s shared border with Tibet and Sikkim. Any development in the Chumbi Valley that alters the status quo in Beijing’s favour will have serious implications for India. 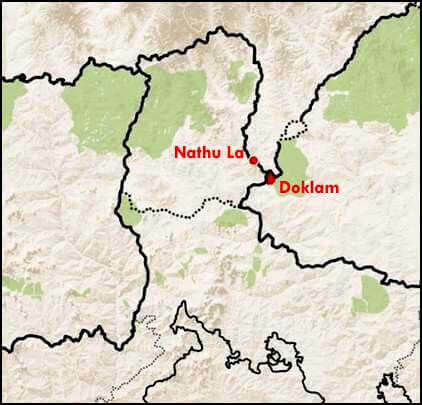 It is to be noted that China wants to widen the Chumbi valley by claiming areas in the west and north of Bhutan. 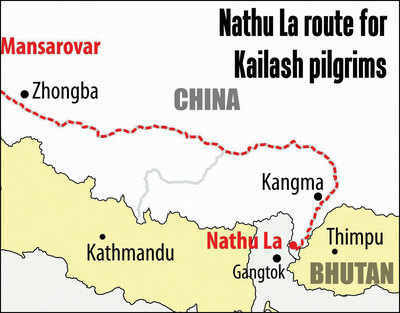 History of Bhutan-China border dispute starts from 1950 and bilateral talks to resolve the issue started from 1984. In the event of a war, China could seek to cut off the Siliguri corridor. It is also contested by some scholars that Chumbi valley has restricted deployment space. They further state that there is no other place in India’s northern borders which has severe limitation for military maneuvers as the Chumbi valley has.